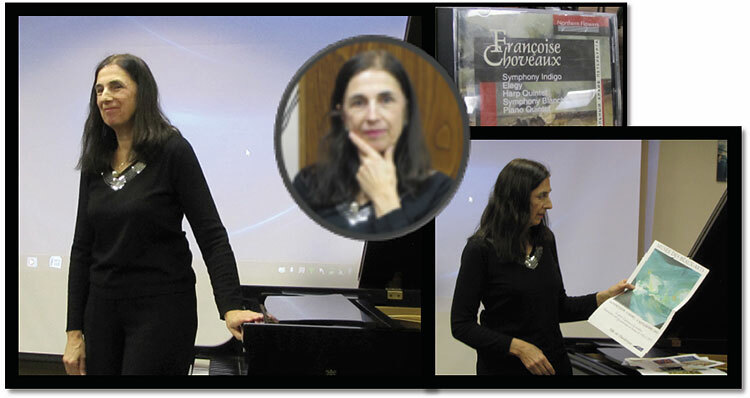 The exceptionally prolific French composer and pianist Françoise Choveaux presented an amazing lecture/recital on November 30, 2017. She talked about her life as a musician and composer, and performed some of her pieces as she shared her unique perspective on the relationship between music and visual art. Each of her compositions is inspired, either by journeys, emotions, or connected directly with a literary or visual work. “Her musical universe is strong and colored” wrote Marc Vignal, musicologist and critic, in Le Monde de la Musique. The source of some of the biographic material in this report is Françoise Choveaux’s extensive website. Françoise Choveaux’s compositions are rooted in the musical tradition anchored in the 19th Century. She studied at the Conservatory of Lille and the École Normale de Musique in Paris and continued her studies in the United States at the Peabody Institute and at the Juilliard School. Her oeuvre of more than 200 works includes compositions for all instruments, for solo performers, chamber groups and symphony orchestras. Françoise Choveaux’s works have been performed in Europe, Asia and the United States. In the notebook of the CD of her quartets recorded by the Vilnius String Quartet, she commented on the relationship between forms of artistic expression: “The richness of sounds and colors for strings is a discovery of every moment. For a composer, I think that the string quartet offers infinite possibilities, similar to the use a painter can make of the palette.” She reiterated this in her presentation to the MEA. Chamber music has always been an important vehicle for Ms. Choveaux’s creativity. Her own quartets were composed for and later performed by the Vilnius, Rimski-Korsakov, Debussy, Ravel, Danel and Stanislas Quartets. In 2002, she began an important cycle dedicated to orchestras. Her series of three symphonies for strings have been interpreted by several orchestras (Saint- Petersburg, Symphony Marseille, Baden-Baden). She also wrote a series of concerti of which her Concerto No. 2 for Violin was performed by the virtuoso Vilhelmas Cepinskis in a series of concerts in the main cities of Lithuania in September 2002. 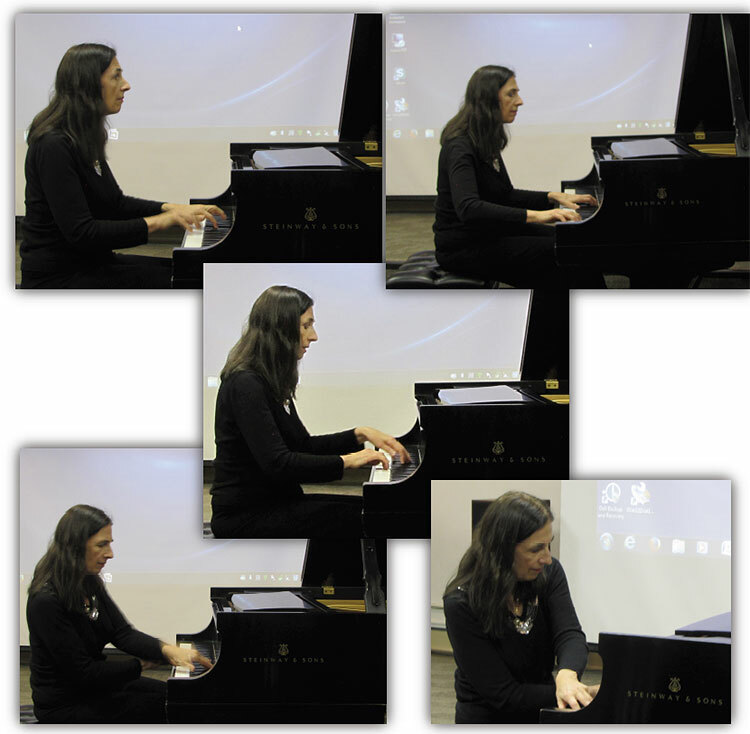 The MEA audience was treated to a few impressive excerpts from Ms. Choveaux’s many recorded works. We listened closely to her imaginative music. Ms. Choveaux has often derived inspiration from paintings. Among those art works were paintings by the artists Leonardo da Vinci, Jacques Doucet and Arthur Van Hecke. She has collaborated with the National Museum of Reykjavik, Museum La Piscine in Roubaix, LAAC Museum of Modern Art in Dunkerque and the Musée des Beaux Arts in Lille. In 2013, she worked during a few months for the Courbet Museum. This museum, in Ornans (Doubs, France), is dedicated to the famous painter Gustave Courbet, who was born there and lived there many years. 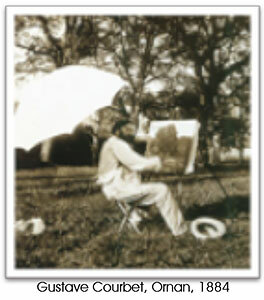 Ms. Choveaux had stayed at Courbet’s family house while composing. She wrote two orchestral works: one inhspoiuresed by Le Chêne du Flagey, one inspired by L’Origine du Monde. She has also composed an album for piano, album 'La Ferme de Flagey' on Courbet’s paintings, commissioned by the Courbet Museum. Ms Choveaux’s MEA performance included 6 selections of this album corresponding to some of the 22 paintings projected onto the screen while she was playing. Her tonal colors were varied and astounding. 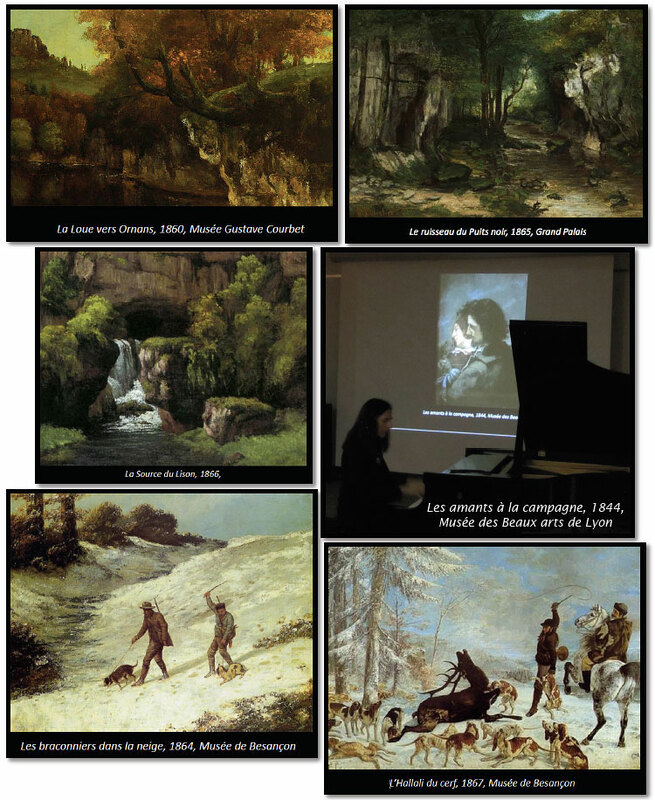 Ms. Choveaux talked about Courbet’s style, analyzed each of the paintings and described how they related to her compositions. She explained her creative process to complement and illuminate specific paintings. She also discussed the pianistic passages and textures that she composed to evoke feelings similar to those of a particular painting. Ms. Choveaus also described and played Prélude Op. 150; Ainsi la nuit on a picture of Lily Gros and Six Miniatures Lyriques, Op. 104, commissioned by the Musées de Dunkerque. These are pieces written after six paintings depicting the movement of the 1950s Lyric Abstraction: Chu-Teh-Chun, Alfred Manessier, Hans Hartung, Gustave Singier, Jean Degottex, Paul Jenkins. These Piano Miniatures are melodic and lyrically expressive. In conclusion, Ms. Choveaux played a CD recording of her Symphony Indigo for Strings, Op. 2. Finally, she invited the audience to share in her discussion of the links between musical and visual creativity. 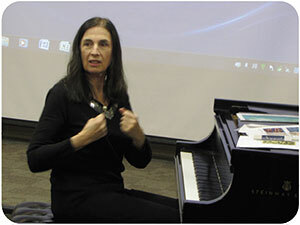 The Music Educators Association of New Jersey is comprised of nearly 300 piano teachers across the state. MEA supports music opportunities through activities such as auditions, recitals, competitions, master classes, composition festivals and scholarship awards. Please consider making a tax-deductible contribution to these worthwhile efforts. Like to share music, music-related ideas, classes, concerts? Dialogue with other musicians or teachers? Click on the links below to visit our social media pages and find out more. The Music Educators Association of NJ is a non-profit 501(c)(3) organization of private piano teachers founded in 1927. Our mission is to raise the standards of private music teaching throughout New Jersey, while encouraging musical excellence and instilling a love of music in our students. © 2019 Music Educators Association of New Jersey. All Rights Reserved. Site by CodeMonkey Design.